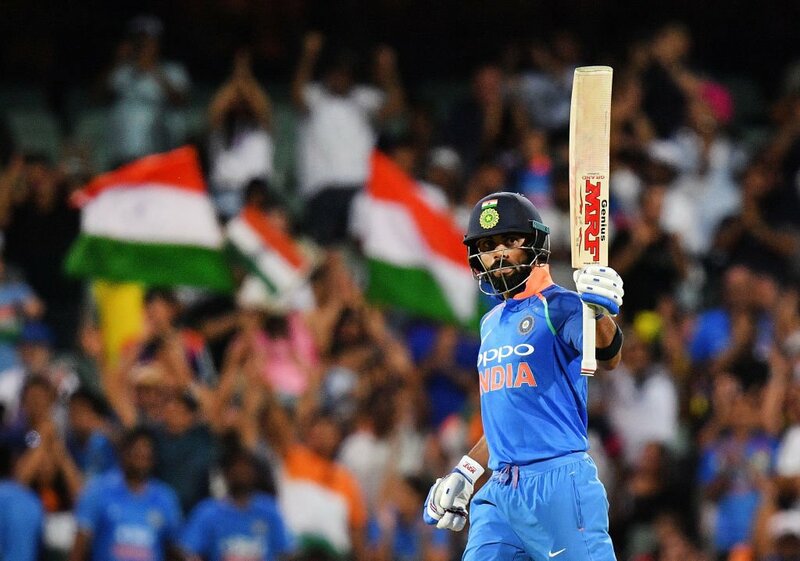 Another powerful performance from the Indian skipper Virat Kohli 104 off 112 balls pushed India towards win as India won by six wickets at the second One Day International (ODI) in Adelaide on Tuesday. 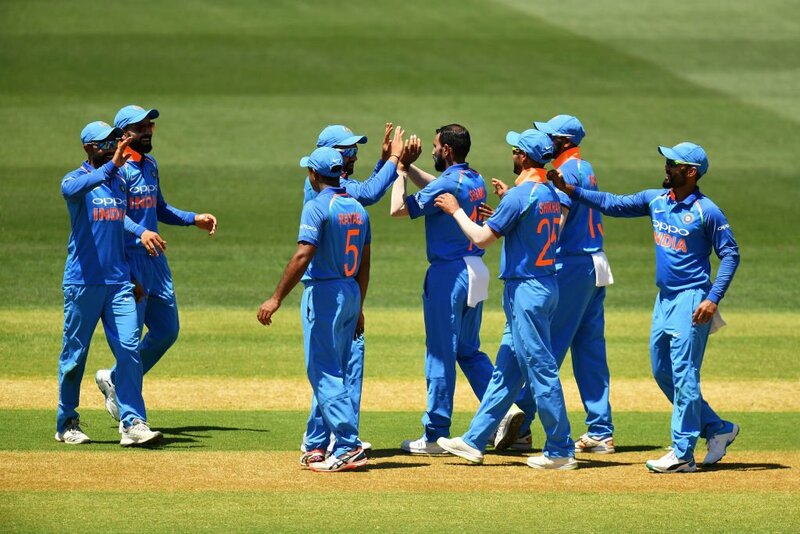 Adelaide: Another powerful performance from the Indian skipper Virat Kohli 104 off 112 balls pushed India towards win as India won by six wickets at the second One Day International (ODI) in Adelaide on Tuesday. India got off to a solid start with openers Shikhar Dhawan (32) and Rohit Sharma (43) contributing 47 runs for the first wicket. Rohit, then scored a crucial 54-run partnership with Kohli, keeping India's run-chase on course. India lost its first wicket on a score of 47, as Shikhar Dhawan walked to pavilion. Dhawan tried to go over the top but failed to time the ball. Usman Khawaja took a simple catch at mid off. Rohit Sharma also went to dressing room, after being dismissed by Marcus Stoinis. Peter Handscomb in the deep took an excellent catch. Sharma walked back after scoring 43 runs. After the departure of Rohit Sharma, Kohli then strung a 59-run partnership with Ambati Rayudu for the third wicket. Kohli journey came to an end, as he walked back after scoring 104 runs, he failed to time the ball, when he tried to go for a big hit over Jhye Richardson delivery but Glenn Maxwell caught him in the deep. Kholi's depature might have afftected the team, but the job was done by him. India required another 57 runs to win with 37 balls remaining. After Kohli dismissal, MS Dhoni took the charge and played nicely to clinch the victory. Playing cautiously MS Dhoni took a single on the final ball off Marcus Stoinis' over. 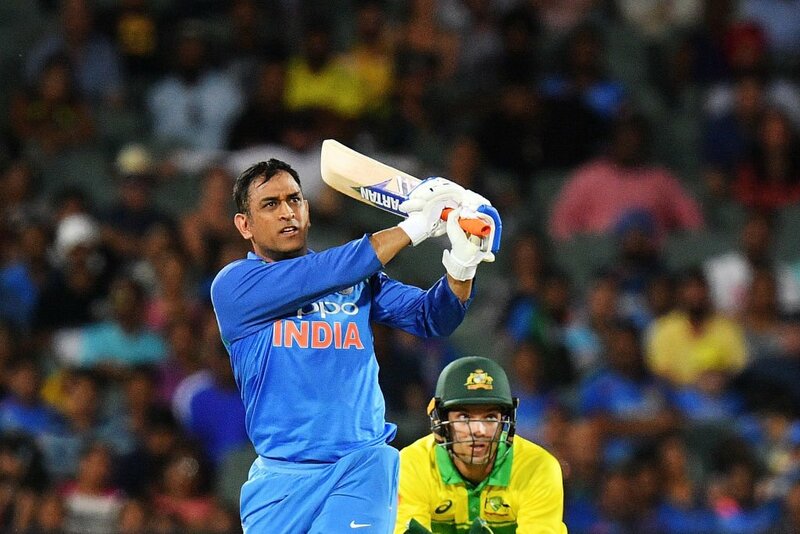 He also hit six and completed his 69th ODI fifty. Virat along with MS Dhoni put together 82 runs for the fourth wicket taking India close to the target. With this win, India have levelled the series 1-1. From Australia, Jason Behrendorff, Jhye Richardson, Marcus Stoinis and Glenn Maxwell managed a wicket apiece. After, winning the toss, Australian captain Aron Finch opted to bat but the things went against his favour as the hosts got off to a poor start. They lost their openers Finch and Alex Carey inside the power play. Shaun Marsh tremendous innings of 131 runs, guided Australia to set a total of 299 against the visitor—India. Marsh took 123 balls to score 131 runs, though the wickets kept falling on the other end. Indian pacer Bhuvneshwar Kumar brought a breakthrough. March was caught by Ravindra Jadeja on Bhuvneshwar’s delivery. Marsh walked towards dressing room leaving Australia 283/7. The hosts got off to a poor start, as they lost their openers Finch and Alex Carey inside the power play.